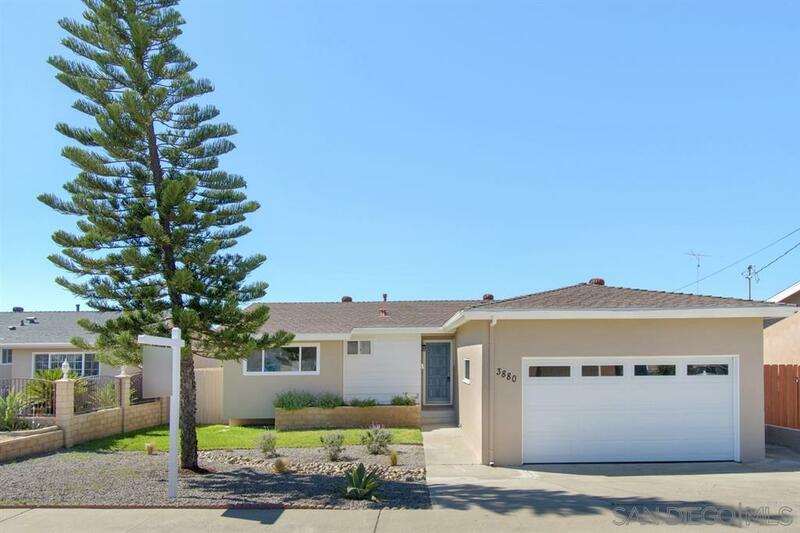 Turn Key Upgraded Clairemont Family Home! This home has been remodeled with coastal modern designer finishes throughout! Revived original hardwood floors and fine tile flooring. Open kitchen with large counter top space and new stainless steel appliances. Bathrooms have also both been tastefully modernized with tile wall enclosures. Sliding door off family room to large covered patio for entertaining. Great size backyard! MUST SEE!